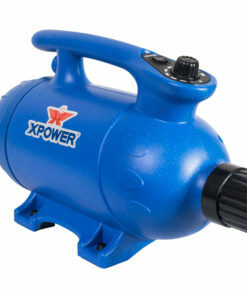 Force Dryers—also known as high velocity dryer, blasters, or canister dryers—utilize motors with high RPM (revolutions per minute) to produce a strong, concentrated airflow. For professional pet grooming, the force dryer is a must-have timesaver that rapidly removes most of the water from a pet following the bathing/washing process. 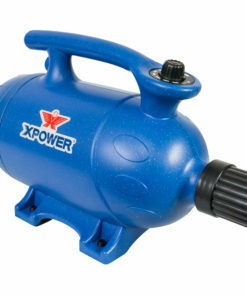 AirChaser.com carries the best force dryers for dogs with the complete line from XPOWER. 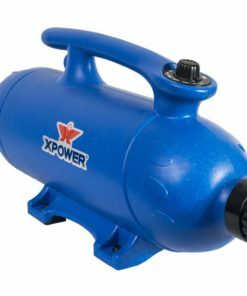 Designed with the comfort of grooming professionals in mind, XPOWER Force Dryers are powerful, durable, lightweight, and utilize a patented noise reduction system to provide you with the quietest force dryers in the market. 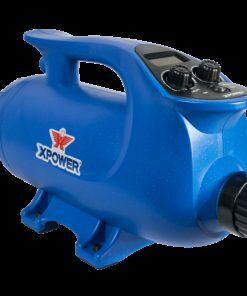 XPOWER Force Dryers include options for both speed and temperature controls to provide you with the most versatility to achieve the best results on any coat type; additionally, we are proud to be a distributor to the only brushless motor force dryers in the world! By eliminating carbon brushes, these force dryers last 6 times longer and do not produce carbon dust, which is harmful to you and the pets with prolonged inhalation. Whether you are looking for a compact, portable single-motor force dryer for your mobile or house-call grooming business or a heavy-duty double-motor force dryer to add to your grooming salon, AirChaser.com has the perfect force dryer for your needs. Minimize drying time by as much as 70% with XPOWER professional grade force dryers for pet. Light weight, less noisy and designed with every groomer in mind. Before you buy or invest in a pet dryer, check out actual product reviews to get a sense of what you are paying for. More expensive products do not mean they are the best. 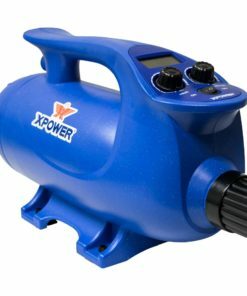 Here at AirChaser.com, we only carry XPOWER pet force dryers simply because they are the best pet dryer brand in the market. With functions and added features designed with groomer’s in mind, their quality and pricing are reasonable. Invest in something you trust !